Combining magnificent illustrations and in-depth analysis, this fully revised edition is organised in three parts: the most important military aircraft and their weapons in service today; markings and serial number system; and the order of battle for the PLAAF. Now almost six years later, much of the fascination that Chinese military aviation holds for the analyst and enthusiast still stems from the thick veil of secrecy that surrounds it. However, in the time that has passed since the first edition a plethora of new types, systems and weapons has been revealed. What is more, the structure of the People's Liberation Army Air Force (PLAAF) has been completely revised by transforming the former Military Regions into Theatre Commands. In parallel, the general structure has been thoroughly modernised to cope with China's latest challenges. 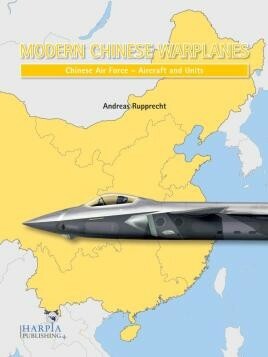 Consequently, this fully revised edition is organised in three parts: the most important military aircraft and their weapons found in service today; aircraft markings and serial number systems; and orders of battle for the PLAAF. The study includes the latest developments emerging from behind the ‘Great Wall', including the J-20 stealth fighter programme, Y-20 strategic transport and the latest developments in UAVs that are equipping a rapidly modernising air arm. This is a superb reference work on a secretive air force that's now flexing its muscles on the world stage. …modellers will appreciate the clear, high quality photos […] plus explanation of markings and serials.